In a magazine article, Shia LaBeouf offers many perspectives on his life and the challenges of acting and celebrity. The article says “LaBeouf could very well lose everything, as other young stars have, his career wrecked by self-indulgence and arrogance. 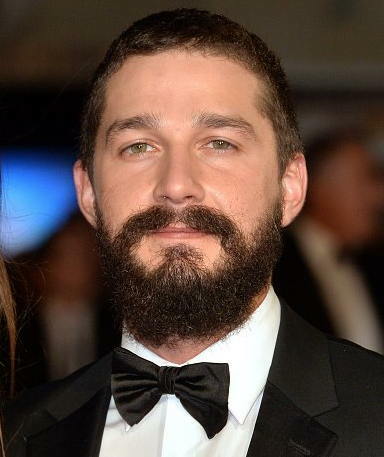 “LaBeouf comes from an unconventional family with a history of addiction. “He is aware, he says, of how disproportionate movie success is to actual achievement and how easy it is to be overwhelmed by a skyrocketing career. When LaBeouf is feeling insecure, he sometimes stops his bike on the side of a busy road to see if people passing by recognize him. He is scared that they won’t. “Actors live dependent on being validated by other people’s opinions,” he explains. “I don’t understand what it is I do that people want. “I don’t know what an actor does. I have no credentials. I don’t know what I’m doing. Artists with high sensitivity, high intensity, strong emotional lives are not “crazy” but may be seen as “weird” by conservative reporters – or even view themselves with those kinds of labels.